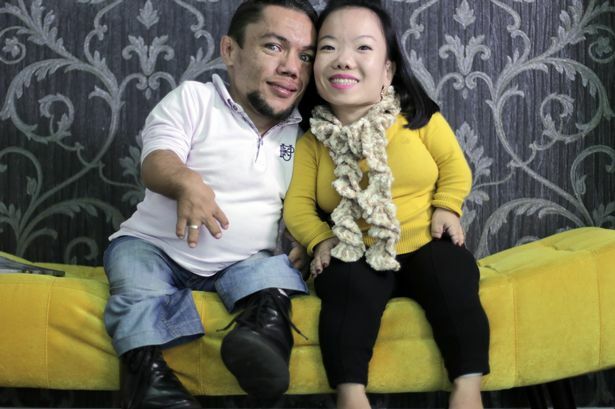 The ‘world’s shortest couple’ – with a combined height of just 5ft 10in – are set to tie the knot. Standing just 34.8in tall, Paulo Gabriel da Silva Barros, popped the question to 35.2in girlfriend Katyucia Hoshino in front of their closest friends at a sushi restaurant in their hometown of Itupeva, Brazil . The 30-year-old has diastrophic dysplasia dwarfism while 26-year-old Katyucia has achondroplasia dwarfism . But while the pair are short of stature, they say their love for one another grows bigger by the day. Speaking at the proposal dinner, Paulo said: “Everything I researched, everything I planned on saying, I am going to forget it. I am going to do what my heart tells me. Everything is going to be improvised. “As everyone knows, we’ve been together for eight years between living together and dating. Katyucia, 26, could not quite believe the offer and needed reassurance several times before saying yes. engagement can lead to their official recognition as the world’s shortest couple. 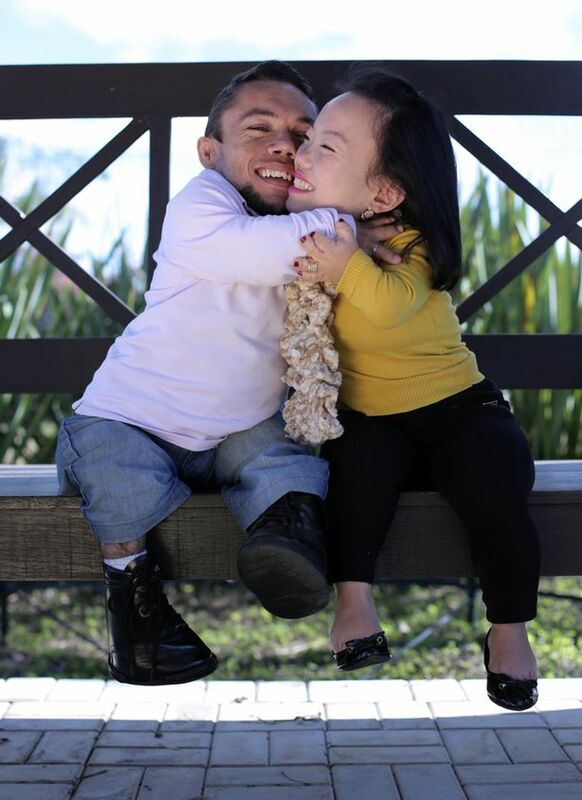 “Once we get married we will try to be recognised as the world’s smallest couple through the Guinness World Records,” Paulo said. They first started speaking on MSN messenger 10 years ago, but things did not originally go to plan for Paulo as Katyucia blocked him for being annoying. But luckily enough for Paulo, Katyucia randomly decided to press the unblock button a year and a half later, allowing him to start again in his pursuit. He said: “She thought I was trying to flirt but I was just being nice. According to her I was a really boring guy. The happy couple are now planning their eagerly anticipated wedding day, with Katyucia searching for her perfect dress. “This is the best part of getting married,” she said. “After the marriage proposal I still feel shocked. Hey Buddy!, I found this information for you: "'World's Shortest Couple Set To Marry". Here is the website link: https://360kwado.com/shortest-couple-set-to-marry/. Thank you.